[I begin this blog by welcoming my 100th “follower”, Nathaniel Penland. I keep my eyes on the counter, and so was waiting with bated breath for 100 to appear. As I said before, it is good to know that there are 100 people out there who have joined the club of ardent followers. Thanks! “And the things you have heard me say in the presence of many witnesses entrust to reliable men who will also be qualified to teach others” (2 Timothy 2:2, NIV). 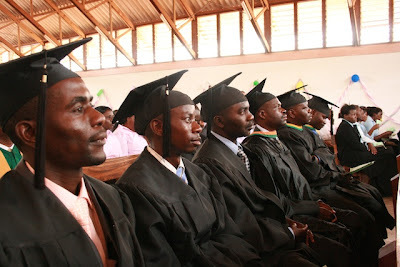 From a central campus and eighteen local training centers in the southern African country of Zambia the Baptist Theological Seminary of Zambia (BTSZ) provides contextualized theological training to God-called and gospel-committed leaders to reach people for Christ and gather them into reproducing congregations. We are here to prepare godly leaders for a worldwide church. The Seminary campus is located on a 22 acre tract of land in the south-eastern section of Lusaka, Zambia, along Twin Palm Road. This rapidly growing residential area provides opportunity for community-based ministry. In addition students have the opportunity to ministry in numerous local training centers spread throughout the country. Zambia has proven to be a highly responsive place for gospel preaching and church planting and development. The Baptist Theological Seminary opened its first classes in January 1967, with a student body of five men and four women. The first classes were held at the Baptist Building on the Great East Road near downtown Lusaka. By 1968, some residences for student housing had been constructed on the 22 acre campus on Twin Palm Road in southeast Lusaka. Classes were then shifted to the campus with men and women meeting separately for classes in two of the student houses. This arrangement continued until the main educational building (classrooms, offices, temporary library, kitchen, etc.) was completed. A separate library building was completed in 1988, and presently holds 15,000 volumes and Internet facilities, followed in 1994 by a 350 seat Chapel. Finally, a conference center, including lodging and meeting facilities, was completed in 2005. 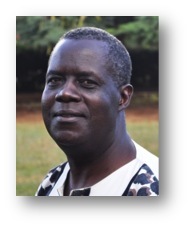 The Seminary is presently at Candidate Status, the final step before full accreditation, with the Accrediting Council for Theological Education in Africa (ACTEA). 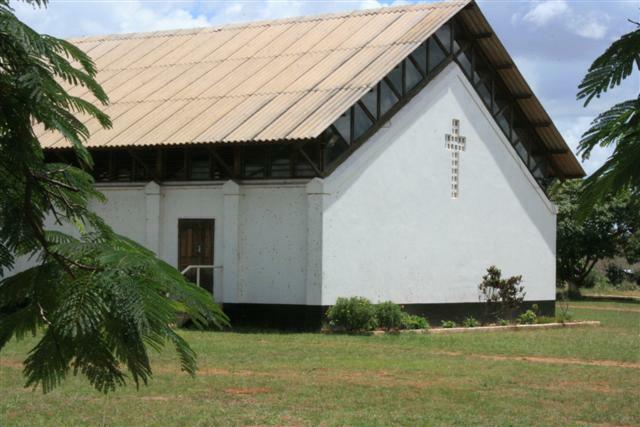 BTSZ is governed by a Board of Governors appointed by the Baptist Fellowship of Zambia, composed of over 1,500 Baptist congregations throughout the country. We continue to work in partnership with the Baptist Mission of Zambia, the International Mission Board, and Southern Baptist Convention. The Seminary welcomes for study students from among Baptists and other groups compatible with conservative evangelical Christian beliefs. We thank God for a total of 261 graduates who are now serving throughout the country in various ministries such as pastoral, chaplaincy, para-church, and educational work. Our particular foci for study are the interpretation and proclamation of Holy Scripture, and practical experience in ministry. Both our programs of study and faculty are designed for these purposes. Faculty, both full-time and adjunct, include: Principal Rev. Ezron Musonda (M.A. in Theology, Cape Town Theological College), Academic Dean Dr. John McPherson (Ph.D., Southern Baptist Theological Seminary), Business Manager/Instructor Rev. Misheck Zulu (M.A. in Theology, Cape Town), Director of Field Education Dr. James Pack (D. Min. in Christian Education, San Francisco Theological Seminary), Registrar Dr. Van Thompson (D. Min. Urban Evangelism, SBTS), Mrs. Misheck Zulu (M.A. in Theology, Cape Town), and Instructor In Biblical Languages Rev. Emile Masabarakiza (M. Div., Golden Gate Theological Seminary). Our guiding principle is to provide quality, biblical instruction at all the levels required by Baptist churches in Zambia. We aim to "start wherever they are and go as far as God leads them." 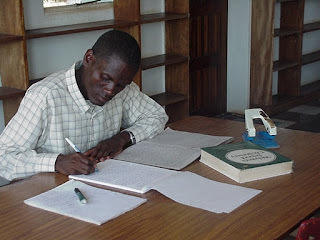 The Baptist Theological Seminary of Zambia offers two post-secondary programs of study, the Diploma of Theology (DipTh) and the Bachelor of Theology (BTh). Educational requirements for the Diploma of Theology are completion of Grade 12 and a minimum of five “O” level passes with one of the passes being in English language. Full-time students would normally complete the Diploma of Theology in 3 years. Educational requirements for the Bachelor of Theology degree are completion of Grade 12 and a minimum of five “O” level credits with one of the credits being in English language. Full-time students would normally complete the Bachelor of Theology degree in 4 years. To meet the needs of those with full-time employment, the Diploma of Theology and Bachelor of Theology are available on a part-time basis in night classes meeting in a downtown setting. Requirements for these programs are the same as above, but the duration of study is extended. For the spouses who do not qualify for either of the post-secondary programs (and other interested parties), BTSZ offers a Women’s Ministry Program. This is a 3-year fulltime, on-campus program, which prepares the student for a supportive ministry in the church and community. Dear Pastor Conrad. I am your 100th "follower" and it was surprising to see my name mentioned in your blog this morning. I have actually had thew privilege of meeting you at Grace Life Church of the Shoals. I was interning under the ministry of Brother Paul Washer at the time. I believe you were here to speak at the True Church Conference but during that time, you took some of us interns into a small room and taught us on the 10 Commandments and how the law of God works in the grace of God. I really enjoyed the teaching. So I just wanted to say hello to you since you mentioned my name in your blog. I also have recently started blogging (http://reformedgrace.blogspot.com/) and was wondering if you had any advice for a young, inexperienced blogger like myself. My wife and I continue to pray for your ministry and look forward to seeing you again one day.